COCOA BEACH, Florida -- A dead dolphin washed ashore on between 6th and 7th Street South in Cocoa Beach, Florida earlier this morning. 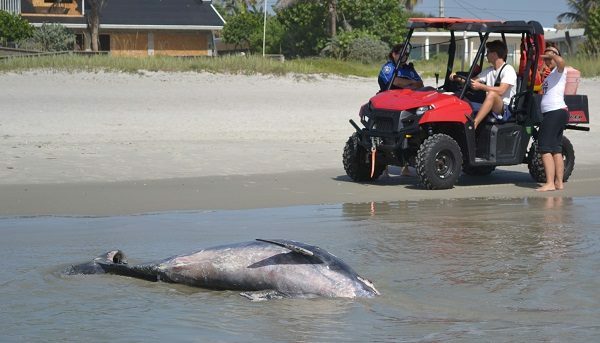 Cocoa Beach police remained on scene to prevent beachgoers from getting too close to the marine mammal's bloated carcass until Florida Fish and Wildlife personnel arrived. The dolphin washed ashore on the Atlantic Ocean side of the barrier island between the Atlantic and the Indian River Lagoon. 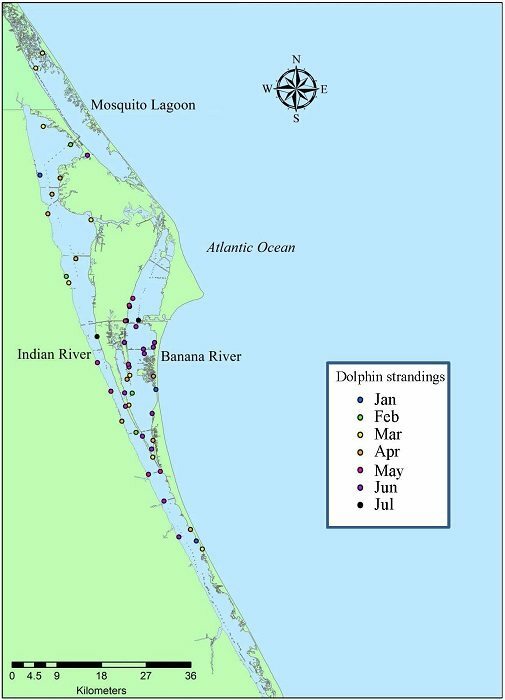 An Unusual Mortality Event (UME) was declared for bottlenose dolphins dying in the Indian River Lagoon System along the east coast of Florida last month. A UME is declared when there is a significant die-off of any marine mammal population. Current bottlenose dolphin strandings are almost three times the historical average for the Indian River Lagoon. 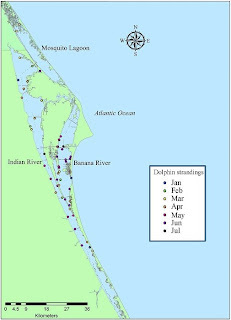 In addition to the Indian River Lagoon, dolphins have been dying in record numbers in the northern Gulf of Mexico and the U.S. mid-Atlantic states where UMEs have also been declared during the summer of 2013.